I love a bargain, I really do. I will hunt for things until I find them cheaper and not because I like to scrimp money but because it gives me great satisfaction. Of course, I still buy things at full price but finding it cheaper somewhere else, brings a creepy smile to my face. Something I really struggle with is finding makeup and beauty in general deals. Yes, stores like Amazon, Superdrug and boots are great at giving you discounts and offers but I still never find myself with huge savings when I leave their stores and so finding budget beauty cosmetics that actually work and actually look nice is really important to me. I recently did a spot of shopping and below I wanted to show you my favourite budget deals that I picked up. They aren’t on sale or anything they are just genuinely good products that are cheap. So if you’re like me and do like to pick up a bargain or even just want to try something different from the high street, keep on reading. I had been on the hunt for a highlighter forever. I’m not the biggest user since I once saw myself in a window and looked like a lightbulb. I wanted something cheap, something easy to use and something that would compliment my skin. I won’t lie, I didn’t search very far before finding this highlighter. It’s literally 3 pounds and looks like it will last you ageeeees, they have a few colours but this was the most popular and compliments most skin tones. This stuff isn’t the cheapest it’s around 6 pounds but I have to mention it. You can, of course, get cheaper toners but there’s something about this one that makes it stand out from the crowd, it has antibacterial, antiseptic and antimicrobial ingredients that make it a life saver for oily and spot prone skin ( me). I have only had it a few days and I am going to trial it for a few weeks before I do a full review but so far I love it. I have noticed a massive difference with the spots on my face, the way my makeup is applied and just my skin in general so if you are looking for a new toner please check out lush and their range. Being behind the hype ALL OF THE TIME I had never tried a makeup fixing spray before. I had seen bloggers around the globe spritzing their faces left right and centre and I still never picked one up before I saw this one. 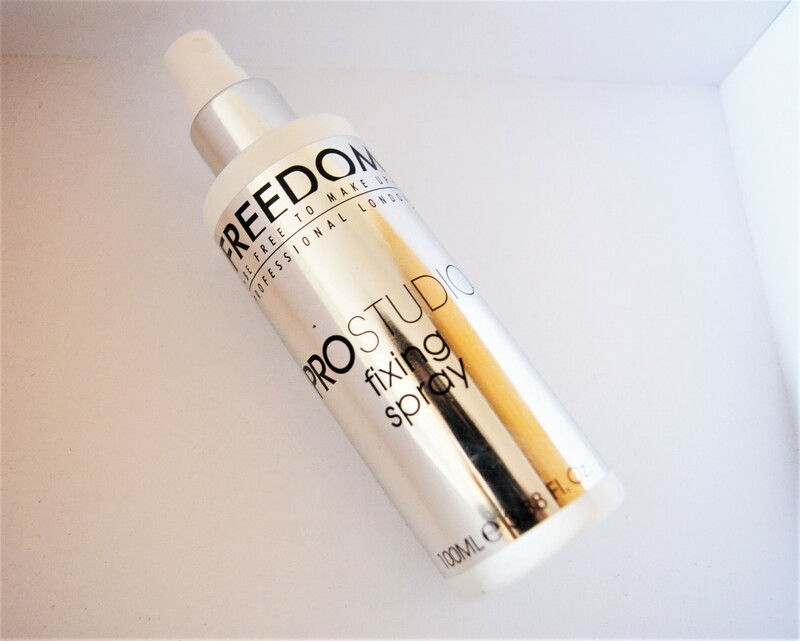 It had amazing reviews and SO many people had said that it’s just as good, if not better than some higher end makeup fixing sprays. It’s meant to keep your makeup in place for 12 hours and whilst I didn’t think it lasted that long, it did hold my makeup where I needed it to be for a good 8-9 hours, which is just amazing in my opinion for how cheap it is. It doesn’t smell of anything amazing, which is something I would like to see happen, but it does dry really quickly and doesn’t leave a nasty residue behind. I really recommend it if you’re looking for something to keep your makeup in place that’s affordable and actually works. I know so many people are mad about this powder. 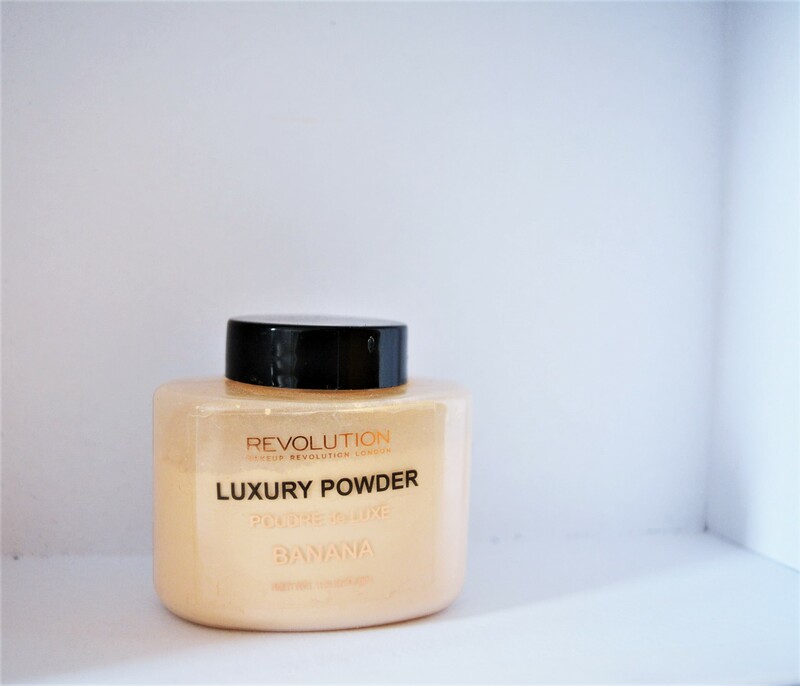 It’s virtually identical to the Ben Nye Banana powder and I do completely disagree with the packaging being an absolute match and so I am not even going to compare the two. It’s not fair to compare when revolution have virtually copied the product. However, for someone that likes to try a tonne of different makeup and had never ‘baked’ before I wanted to see if I liked the end result. I am going to talk about it as an independent ‘baking’ powder and if I don’t think about Ben Nye, then it’s wonderful. It cost me 5 pounds from Superdrug and although I did find it slightly more yellow than I was expecting, it does set your concealer under your eyes and really brighten that area up. If you’re looking for an inexpensive, fun, baking powder make sure to check it out. Thank you so much for reading, what’s your favourite budget beauty buy?